If you are considering an eyelid surgery, also known as blepharoplasty or eyelift, but are doubtful about whether to undergo it or not, here is the necessary information you would like to have. Ø The puffiness and bags under your lower eyelids and the hooded skin over your upper eyelids will be eliminated, making you look younger and energetic. Ø Your vision won’t be obstructed due to overhanging eyelids. Ø The surgical scars will be hidden in your natural creases around your eyes and won’t be easily discernible. Ø Results will be seen after a long time. Ø You may experience bruising and swelling and your eyes may become dry and itchy after the procedure. Ø If your eyebrows droop and there are creases in your forehead, you may need even a brow lift. These are three main pros and cons that apply in general to all patients. If you want to know something specific about your condition, consult your cosmetic surgeon and get the doubt cleared. For any type of cosmetic surgery, visit Dr Naveen Somia for more details. Again, https://www.naveensomia.com.au/eyelids/drooping-eyelid-or-ptosis-eyelid-surgery-sydney is your great source of information. Eyelid surgery (blepharoplasty) can be done on your upper or lower eyelids or both. Depending on a preoperative assessment of factors like your bone structure, underlying facial muscle structure and symmetry of your eyebrows, it will be decided by your surgeon how much fat, skin and/or muscle to be removed. Your surgeon will make accurate markings to show from where excess tissues will be taken out in the upper and lower lids. 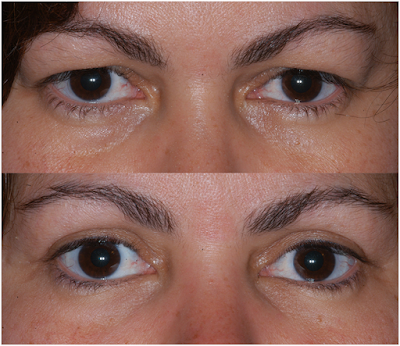 Ø Your surgeon will make an incision in your upper eyelid hidden within its natural crease. Ø In case of lower eyelid, the incision will be hidden below the lower lashes. Otherwise, when surplus fat is being taken out, your surgeon can place the incision inside the lower lid which is called transconjunctival incision. Sometimes a laser too is used in this method to tighten the skin of lower lid. Ø Through these incisions tissue will be removed using instruments like surgical scissors, radiofrequency cutting devices, scalpels and sometimes cutting lasers. 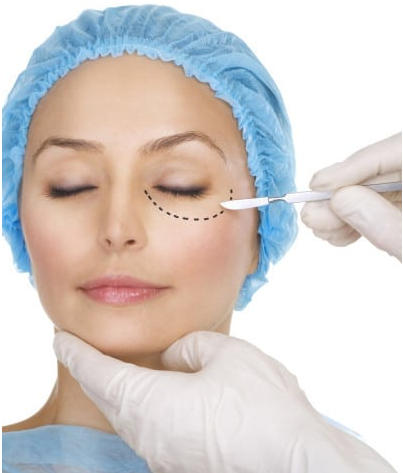 Ø The fat thus removed is sometimes used to fill in the bulges or puffiness in the lower lids. Other adjustments may also be made by your surgeon to rectify special issues like muscle laxity. Ø After this, sutures or tissue adhesives may be applied by the surgeon to smoothen and reconfigure areas around eyelids and eyebrows. These sutures are invisible and usually self-dissolving. Most of the times, they leave no detectable scar. Ø If the patient is experiencing dry eyes, less tissue of his eyelids is removed to avoid a lot of exposure of eyes to air which can make symptoms worse. Ø Laser may also be used to augment the procedure by smoothing wrinkles and resurfacing skin in the eyebrow and eyelid areas. Consider all these points so that you can make a better decision and move ahead with confidence for a better look and improved vision.